William “Bill” MacIndoe passed away, peacefully, at home on August 24, 2018. A man of compassion, wit, and faith he is beloved by family, friends, and community. Bill was born December 23, 1928, Philadelphia, PA, the son of Louise Quinn MacIndoe and William MacIndoe. An only child, his mother immigrated from Donegal, Ireland and his father from Glasgow, Scotland. As a youth, Bill worshipped in both the Catholic Church and the Presbyterian Church. Throughout his life he held a passion for all things Celtic. An enthusiastic traveler, one of his favorite trips was to Scotland to witness the Royal Edinburgh Military Tattoo with his wife June. Bill graduated John Bartram High School, Philadelphia. From there he landed a position at McGraw-Hill Publishers. Simultaneously he studied at the University of Pennsylvania, Wharton School of Business, until he was drafted due to the Korean War. He was a Second Lieutenant and completed his duty with an honorable discharge. After his military service, Bill returned full-time to the Wharton School. Upon receiving his business degree in 1956, he entered the textile industry. A proud purveyor of polyester and denim, he avoided retirement until 2004. He was a champion for the River Hills Community, as a brand new community, it became his home in 1973. A faithful Christian, Bill, was a charter member of the River Hills Community Church (RHCC). He was the fledgling church’s first treasurer as well as serving on the church council over time. Yet, he is most remembered for his love of song. Committed to his music, he prepared and practiced at home before weekly choir rehearsals. Bill’s love of River Hills extended further into the community. Active in the Lions Club, Bill regularly delighted as their “Song Leader”. 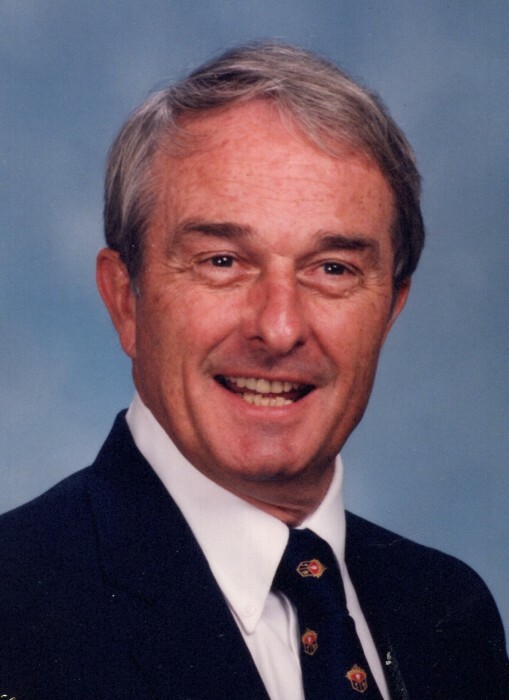 An avid golfer, he was a founding member of the River Hills Country Club. Bill is predeceased by wives Doris Irene Moore MacIndoe and Phyllis McCreahan MacIndoe. In addition, he is predeceased by his son Stephen H. Brown and his granddaughter Melanie Ann Brown. He is survived by his beloved wife of 15 years June Adams MacIndoe, daughter Rev. Janet Matthews, granddaughter Kelly Matthews Gibson (Jarrett) and great-granddaughter Patricia Grace Gibson. He is also survived by his nieces Barbara Moore Humes (Douglas), Jeanne Moore Dewan (Frank), great-nephew Bryan Dewan and great-nieces Lynda Garcia (Matthew) and Laurey Glidden (Matthew). A Celebration of Life is planned to remember Bill’s warmth, humor, and kindness along with his love of God, family, friends, and music: Thursday, August 30, 2018, 2:00pm, River Hills Community Church (https://www.rhcconline.org/).